JaredBusch posted in DND Broken since installing 2.31.21. Looks like it was removed in Asterisk 16 for certain. As soon as I updated to that from 13 it broke. Looking at /etc/asterisk/extensions_override_fop2.conf proves this is a FOP2 issue. JaredBusch started the conversation DND Broken since installing 2.31.21. Here is a pastebin of the install. Installed 2.31.21 over the top of whatever version I had. 2.31.?? JaredBusch posted in FOP2 "connecting to server" never does. Did you update the FOP2 Config? JaredBusch posted in Extremely slow log in with 2.31.08. This solved the problem. Had to hit chat, to get the answer sadly. JaredBusch started the conversation Extremely slow log in with 2.31.08. New install of 2.31.08 on FreePBX 13 is almost impossible to log in to with Firefox. It just spins and spins. Eventually the login will pop up and I can log in, but if I miss seeing it (because I tab over to something else) it will disappear back to connecting and then finally say server unavailable. I have installed this on two different servers with the same result. JaredBusch posted in Custom Parking lot not showing up. Have not had time to work on this yet, but I intend to. thank you for the response. This is working great for my on site PBX. 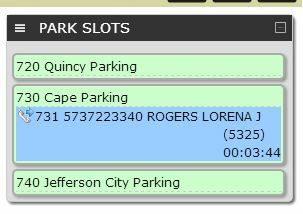 For my hosted PBX, i have 3 branch office reporting to it and 3 separate parking lots set up. The buttons work great, but as expected based on a previous comment you made, if I create a user with any group restrictions they will not see the custom button. Is there a way we can add this custom button to something so it will show up when groups are used? JaredBusch posted in Odd behavior on new Elastix install. Purchased over a week ago. Thought I registered it then. Went to set it up today. I apparently need a vacation. JaredBusch started the conversation Odd behavior on new Elastix install. I am not seeing all of the extensions and none of the trunks or park or ring groups. 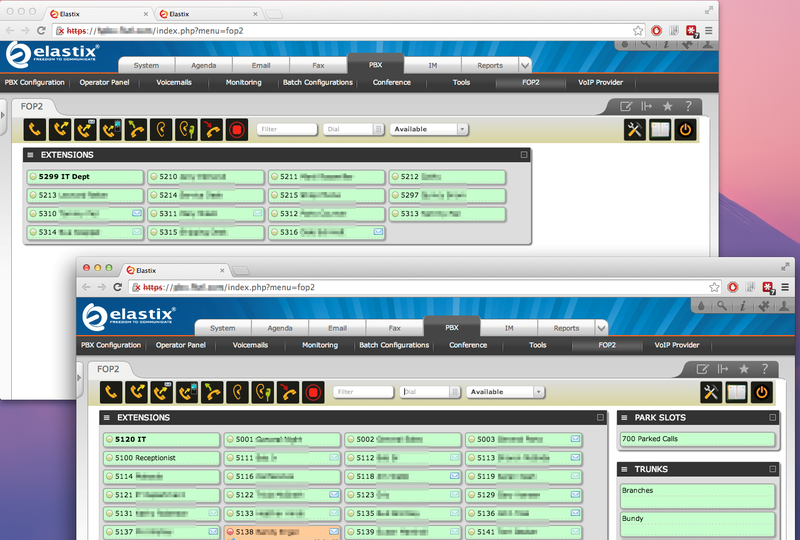 This is with the first user created and permissions set to all. My other installation works fine and is shown in the bottom half of the screenshot.